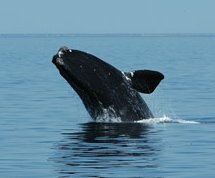 The endangered right whales are back. They are early (they arrived in late February) and they are plentiful. So plentiful that they have become somewhat of a problem for boaters, who must stay at least 500 yards away. They (the right whales) seem to love our beaches as much as we do, hanging just off-shore between Race Point and Long Point in Provincetown. Close enough to be seen and heard by land-bound beachgoers. Check out this video from Channel 5, WCVB, in Boston. Vikings on Cape Cod - Maybe / Maybe-Not - Hmmm! Were the Vikings the first Europeans to visit Cape Cod? Watch this video from the Cape Cod Times and decide for yourself. I'm not convinced. This April 15th marks the 100th anniversary of the sinking of the RMS Titanic on its maiden voyage. Although 1,500 passengers and crew were lost in the sinking, another 700+ were saved due to the messages sent through the Marconi Station, in Wellfleet, to the RMS Carpathia. 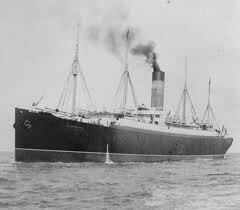 The Carpathia happened to be enroute to Europe from New York and about 60 miles south of the Titanic at the time that ship collided with an iceberg. 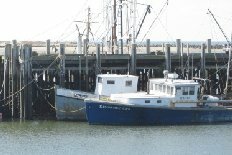 To commemorate the event the Chatham Marconi Maritime Museum and the National Seashore have a week's worth of activities for all to enjoy and learn. Download an information sheet and a schedule of events ... Here. As I reported in my monthly newsletter, the number of active (unsold) single family homes in Eastham is significantly above the level of last year. The current 128 homes compares to the 88 we had a year ago. Up 45%. The number will certainly go up from here, even as the number of spring buyers appears to be up also. With the good inventory, low low mortgage rates, and spring sunshine, this is a great time for buyers. This is a 3 bedroom ranch-style home with completely renovated kitchen, updated bathroom, living room & master bedroom with vaulted ceilings, wood stove, natural gas forced air heat, a new roof, on a level wooded half acre. This has been a great rental - 10 weeks at $875 for 2011. Being sold turn-key - completely furnished. Go to http://125ThreeAcres.robertsheldon.com for photos, a Virtual Tour, and a map. My April 2012 report is available now! This issue of my monthly newsletter has Eastham's sales results through February, my views on the current Eastham marketplace, an article on the 100th anniversary of the sinking of the Titanic, and a few new listings. More times than not, when I show a home the most important room in the house is the kitchen. Two reasons - 1) it's generally the focal point for family living, and 2) it's a room that reflects real potential future costs. Additionally, the kitchen is often what separates a summer cottage from a year-round home. Simply put, the kitchen can make or break a sale. Read an article from the Realty Times about kitchen remodeling's importance in selling your home...Here. The end is very near for a series of cottages that sit on a very narrow piece of beach off Chatham, known as North Beach. The National Seashore has finally won (?) the right to dismantle these cottages, in the name of public safety. It is inevitable that these cottages would succumb to the ravages of the sea. The only question is 'how many years, or weeks, before the killer storm hits the coast?'. The legal battles have been going on for several years. The video, below, from the Cape Cod Times, provides a brief last-look at the beach and the cottages. Interestingly, the cottage's best friends may be piping plovers, which may prevent the demolition until later this summer. This is a well maintained ocean-side 5 bedroom, 2 bath home on a short, very private, cul-de-sac. The house has a large eat-in kitchen, a living room with a fireplace, a wonderful family room, and a 2 car garage. This house has a newer roof, new windows, sparkling hardwood floors, and closets everywhere. Full basement with a workshop, and a new oil tank. Gas powered generator. The property has beautiful lawns and wonderful plantings. Come see! Where are you going to find a 5 bedroom home for $419,000? Go to http://30TwinRocksRd.robertsheldon.com for more details, a Virtual Tour, and a map. I found this wonderful slideshow of Caost Guard Beach that I wanted to share with you. This was created a week or so ago by John Fitts and shared on Flickr. Enjoy. A winter walk at Coast Guard Beach in Eastham by John Fitts. John calls it a walk in the footsteps of Henry Beston. They couldn't be farther way, could they? 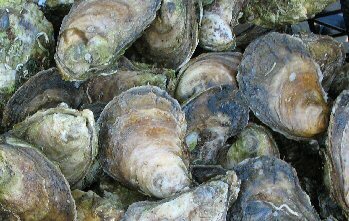 Whether that is true or not, it's no secret that Wellfleet oysters are sought after worldwide. This is a story about a new restaurant, Luke's Oyster Bar and Chop House, in Singapore, that has 4 oyster varieties from Massachusetts as well as Maine lobsters and clam chowder (origin unknown). I am not a very adventurous eater, but this is a restaurant that I could go to. Check out the story in the Asia Sentinel...Here. 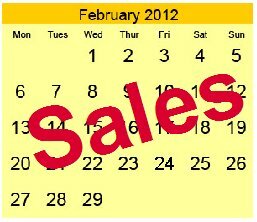 Eastham's February sales were a minuscule 2. February is, historically, the slowest month since it reflects deals that came together in late November through December, the holiday season. The details.. 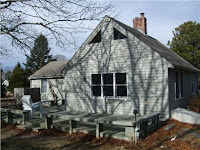 There were 2 homes sold in Eastham in February, down 9 from January. The median sale price in February was $248,500. There are currently 127 active single family listings in Eastham, with an average list price of $616K and a medium price of $440K.